New Delhi : Israel, a Middle Eastern country has made an official announcement on July 11 that it will launch its first lunar mission in December 2018. It is there attempt to become the fourth country to land on the moon, after the U.S., Russia and China. 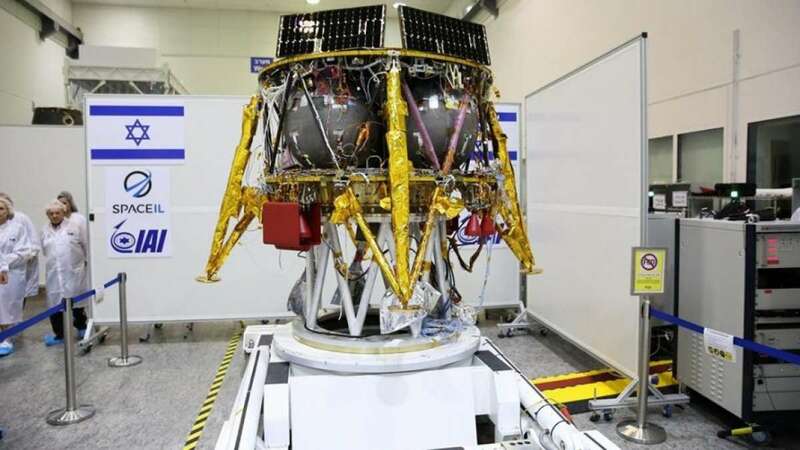 The Israeli non-profit SpaceIL and the state-owned Israel Aerospace Industries exhibited the new spacecraft, which took eight years of joint efforts, and $95 million to build the smallest aircraft till date. The Israel spacecraft measures four-feet high, and 6 ½-feet in diameter, and it is expected to reach a maximum speed of 22,370 miles per hour. The plan to explore the Moon began when a team of engineers, Yariv Bash, Kfir Damari and Yonatan Winetrau decided to build a spacecraft and take part in the Lunar Xprize competition sponsored by Google, which originally included a $20 million prize for the first group of contestants to land an unmanned spacecraft on the moon. Its first task will be to plant an Israeli flag on the moon, organizers said. Only then it will board on its scientific mission, and will start to take photos and videos of the landing site, and measure the moon’s magnetic field. The research performed in cooperation with scientists from the Weizmann Institute of Science in Rehovot, will use a magnetometer on the spacecraft as an attempt to know how the rocks on the lunar space received their magnetism. Israel’s spacecraft will be launched via a rocket from Elon Musk’s SpaceX aerospace company this December. It is expected to land on the moon on February 13, 2019.